This particular client found The Billington Partnership through an image on our website. She had found a previous installation of the marble Buckingham fireplace from Chesney’s that we had completed in Balham. The Buckingham has carved corbels which support the reeded mantel shelf. 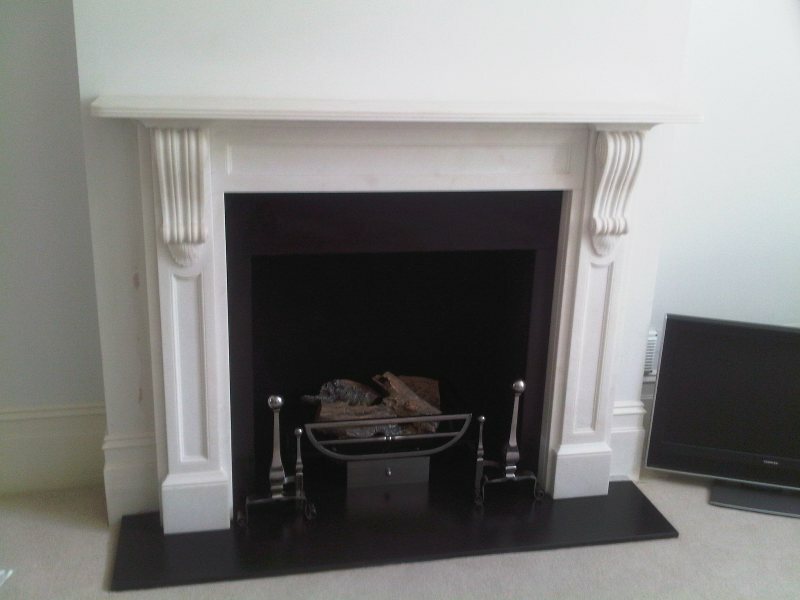 To compliment the fireplace, we fitted Burton andirons and the Baird fire basket, also from Chesney’s. The installation went well and the client was extremely happy with the final, classic fireplace.